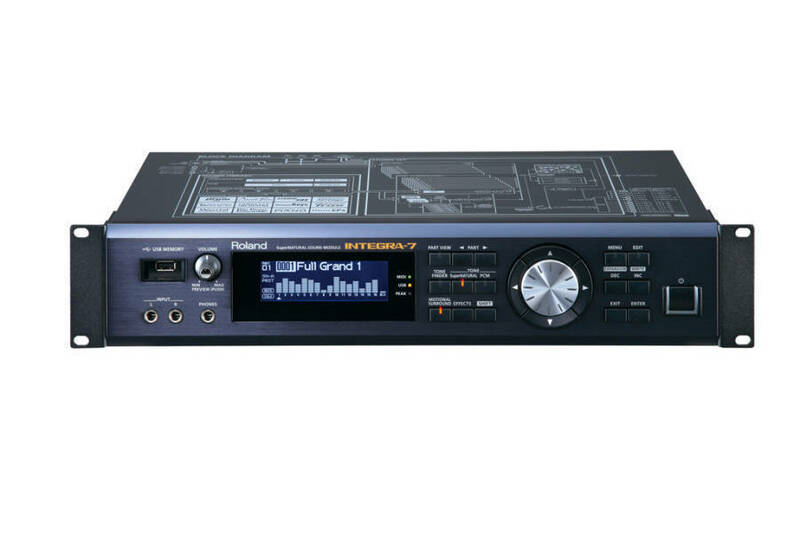 Roland's Integra-7 flagship synth module with over 6,000 sounds built in. It has the latest SuperNATURAL sounds with enhanced Behavior Modeling technology for expressive acoustic instruments and accurate reproduction of performance articulations.A powerful SuperNATURAL synth engine with fat analog synth models and vintage filter types. It also has a dynamic SuperNATURAL drum engine with natural tonal change derived from Roland V-Drums. A producers must-have SRX Expansion sound library built in with all 12 SRX titles included! Dedicated multi-effects and EQ for each part (16 parts), plus dedicated COMP+EQ (use six simultaneously) for drums and ambience parameters for SuperNATURAL drum kits. Innovative 17-part Motional Surround ambience engine for stereo, headphone, and 5.1-channel output. For years I was looking for a synth that could deliver near perfect reproductions (fiddles,guitars, pianos, etc.) and now I own this little piece of Heaven. It helps make my writing easier, & now my songs have the life I wanted to give to them. Thank you Roland! I purchased this from Long and Mcquade about 6 weeks ago. I am not a professional but use my studio as more of a hobby. I spent a lot of time reading reviews and watching video's of this module. I can tell you that this module is awesome. It is easy to navigate, the sounds are setup so it is easy to find the sound you want. I also like the wireless access to it with my IPAD. I cannot think of any downside to this module although it is pricy but worth the money.